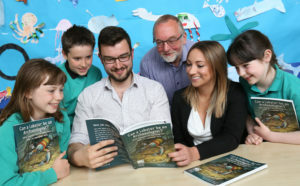 The Society for Underwater Technology (SUT) has launched a campaign to get its illustrated children’s book into primary schools with the support of Subsea 7. 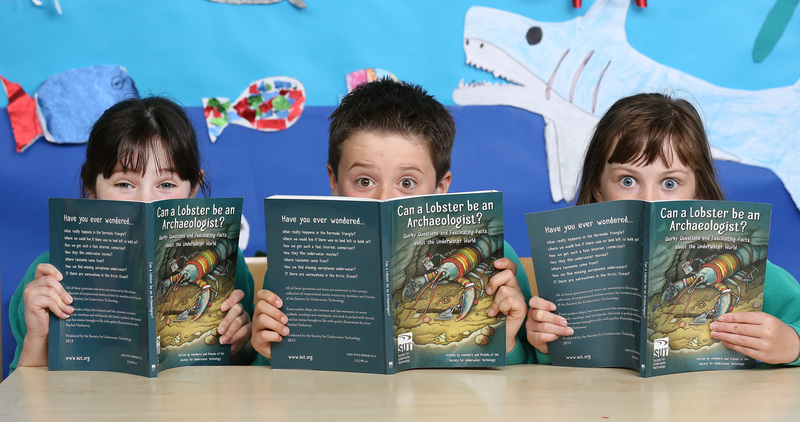 Subsea 7 has provided an Aberdeen school with copies of SUT’s educational book, ‘Can a Lobster be an Archaeologist – Quirky Questions and Fascinating Facts about the Underwater World’ which is aimed at growing interest in the exciting variety of careers on offer under the waves. Primary 5 pupils at Hazlehead Primary School, who recently studied sea life as a topic, were each given a copy of the book thanks to a corporate donation from Subsea 7. SUT is calling on support from other companies to help them roll the book out in schools across the city. The book, aimed at 10-14 year-olds, takes its name from a true story about Larry the lobster who helped divers discover a missing 8,000-year-old Stone Age civilisation near the Isle of Wight. The 150-page book has been drafted by SUT members who are marine scientists, divers, subsea engineers, academics and from the merchant navy. Why do ships go missing in the Bermuda Triangle? Are lake monsters real and do werewolves exist in the Arctic Sea? Where rubbish goes when it’s dumped at sea. Could living under the sea be an alternative to relocating to Mars? Companies interested in getting involved with the campaign can find out more information by contacting: events@sut.org. The book has been funded by SUT, which is celebrating its 50th anniversary this year. All proceeds from the book go towards SUT’s Educational Support Fund, set up to help young people pursue learning and development opportunities. ‘Can a Lobster be an Archaeologist?’ retails at £12.99 and can be purchased from Amazon and www.sut.org.